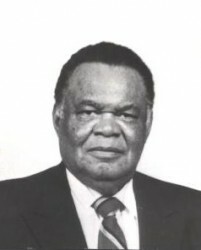 Retired Shelby County Criminal Court Judge H.T. Lockard died of Monday at the age of 91. Judge Lockard became a criminal court judge in 1975 and served until his retirement in 1994. Prior to taking the bench, Judge Lockard served as an adminstrative assistant to Gov. Buford Ellington from 1967 to 1971. The visitation will be held on Thursday, Dec. 15 from 2 p.m. – 7 p.m. and the funeral will take place on Friday, Dec. 16 at 11 a.m. Both the visitation and the funeral will be held at Metropolitan Bapist Church in Memphis. The burial will take place at the West Tennessee Veteran Cemetery. To read more about Judge Lockard, click here to see an article in The Commercial Appeal.